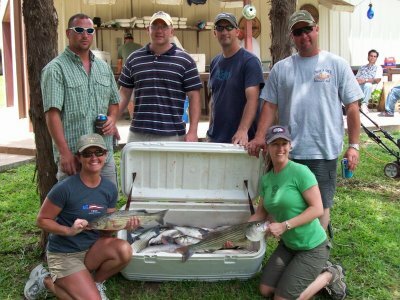 During the month of May and during this first part of June, we have had some fantastic striper fishing on Lake Texoma. The lake water is off color with surface water temperature of 69 degrees with an elevation of 622.34 feet above sea level and receding. Baitfish is once again along the banks spawning. We are using live bait, Threadfin Shad, and fishing on anchor in 45-60 feet of water.